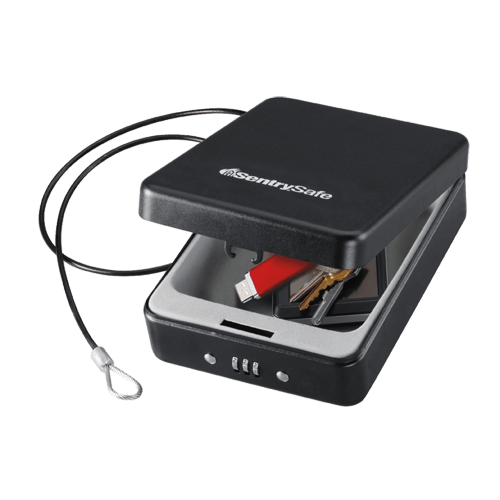 The Portable Lock Box P005C offers versatile, on-the-go security. 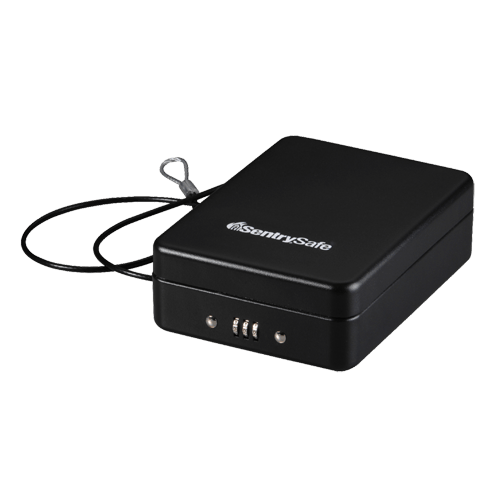 Designed to provide reliable security–with solid steel construction, tethering cable, and programmable 3-digit combination lock–this safe is ideal for protecting your most valuable compact items including cell phones, wallets, keys, iPods, and more. Our 3- or 4-number factory-set combination locks are one of the most reliable form of securing your valuables.